The 2018 Navigator is taking itself a lot more seriously. The 2017 Lincoln Navigator lagged behind its main competitor, the Cadillac Escalade in a lot of ways. 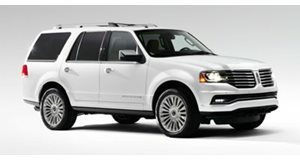 The Navigator was little more than a fake wood and leather-wrapped Ford Expedition, but the price did reflect that. The 2017 Navigator started at $63,515, which was about $10,000 less than the newly redesigned Escalade. Lincoln knew that it wanted to refresh the Navigator and finally gave its flagship SUV the update that it deserves for 2018. Now that the Navigator is all-new, it carries a price tag that is more in line with the Escalade. The 2018 Navigator will start at $72,055, which is about $1,300 less than the new Escalade. The "base" model is the Premier trim, which still comes standard with features like genuine wood trim, a 12-inch configurable instrument cluster, 10-way power driver and passenger seats with lumbar, 10-inch SYNC 3 infotainment with Apple Car Play and Android Auto, blind spot monitoring and a 4G WiFi hotspot to name just a few. Stepping up to higher models like the Select, Reserve and Black Label, buyers get niceties like 22-inch wheels, heated steering wheel, power running boards and ventilated seats among other features. These trims start at $76,055, $81,205 and $93,705 respectively. Customers have a choice between rear-wheel-drive or 4WD, with 4WD adding $2,655 to the price. There is also an extended version that is 30 cm longer than the standard Navigator. This adds around 25 cm in legroom, which Lincoln said is class-leading behind the second row. We really liked the new Navigator when it was first revealed, and Lincoln is serious about it being a true Escalade alternative once again. 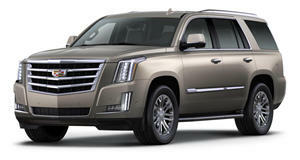 Both the Escalade and the Navigator have become out of reach for the average consumer, but if you wantone of the largest SUVs on the road to haul your large family around, the Escalade isn't the only option anymore.